Welcome to the LondonTown.com competitions page, where you'll find free tickets, prizes and giveaways to some of London's most exciting and entertaining experiences. 10 pairs of tickets to give away! 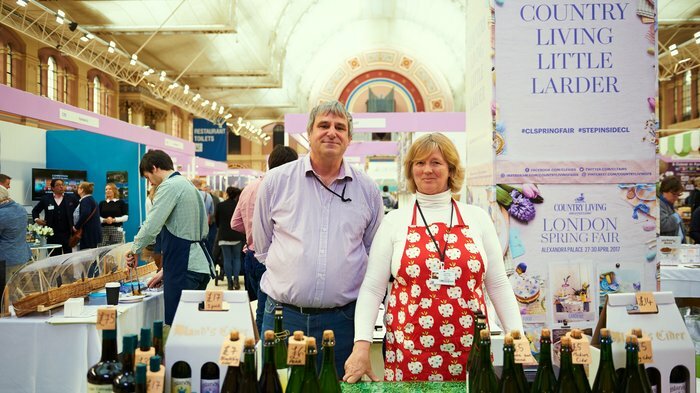 This March, the Country Living Spring Fair arrives at Alexandra Palace from 28th until 31st March 2019, showcasing calligraphy, crafts, talks and home decor inspiration, and we've got ten pairs of tickets worth 38 pounds per pair to give away. This year, the Potting Shed is the place to go for top gardening advice and hands-on free workshops. Experts in sewing, floristry and crafting offer new ideas, creative sessions and lifestyle tips. The chance to feed the lambs is always popular, with adults and children alike. Q: What is the name of the venue where the Country Living Magazine Spring Fair is taking place? A: Send your answer to competitions@londontown.com with 'Country Living Spring Fair' as the title of your email by 12noon on Friday 14th March 2019. Good luck! Follow us on Twitter to keep up to date with the latest competitions and happenings in London. Like us on Facebook to stay informed on what is going on and a chance to win one of our many competitions. From cheap budget accommodation to luxury 5 star hotels see our discounts for hotels, including Holiday Inn London - Stratford City from 73% off.